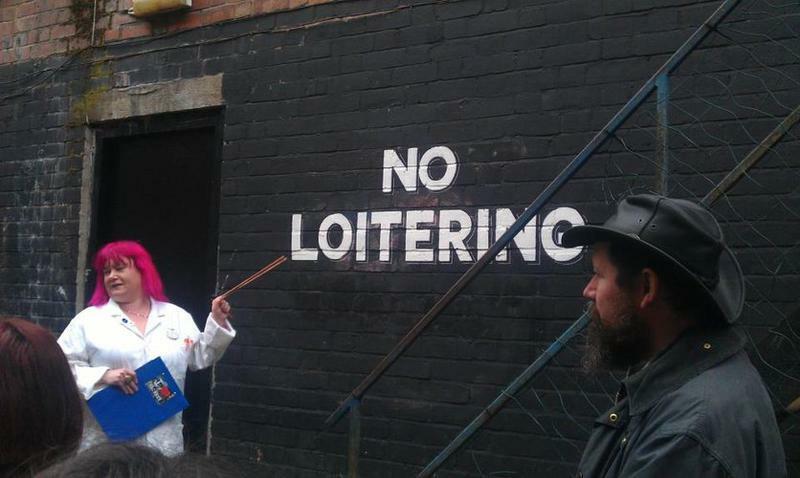 The LRM (Loiterers Resistance Movement) is a Manchester based collective interested in psychogeography, creative walking, public space, hidden histories and DIY mapping. Our city is wonderful and made for more than shopping. The streets belong to everyone; we want to reclaim them for revolutionary funโฆ. On the first Sunday of every month we go for a wander which is free and open to all. We also produce tours, exhibitions and random shenanigans from giant cake maps to CCTV Bingo games.